After the launch, what’s next? The launch event of PWDPhil went as good as we had hoped. Actually I think it surpassed expectations. It was attended by NCDA’s Nelia De Jesus and Carmen Zubiaga, some of the government’s own champions for the cause of equal opportunity for Pinoys with disabilities. 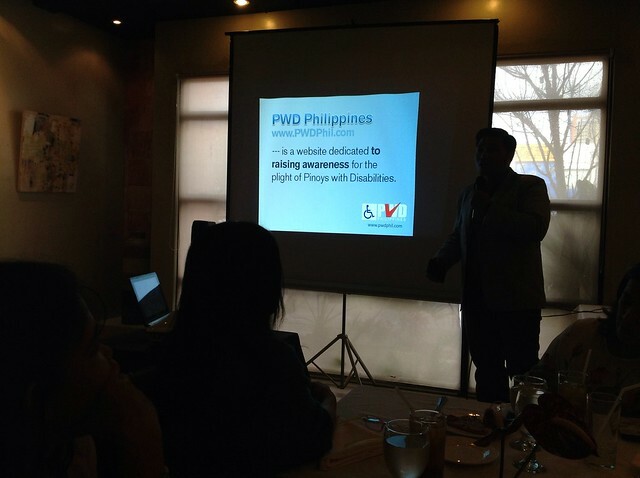 For the record, PWDPhil was the brainchild of Congressman-elect Alfred Vargas. He started this when he was still Quezon City Councilman and managed to do a lot of good by being the champion of the PWDs in his district as well as in the whole of Quezon City. Being the one responsible for maintaining this website, I decided to take a few friends aboard and use it as a springboard for social media-driven campaign that can do a lot of good not just for one city, but for as many cities in the Philippines as we can. In the end, I have dreamt of building a training center/dorm for PWDs. Because we are just in our infancy in this advocacy, we are starting with an online awareness campaign. 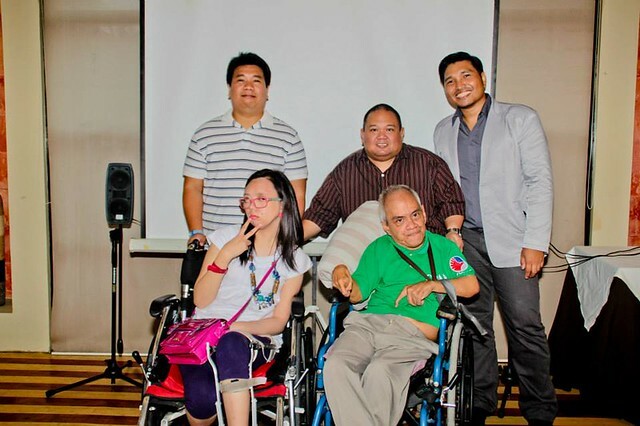 During the event, all attendees had the chance to learn more about the experiences of Pinoys with disabilities. My learnings? That I have met two kinds of PWDs; those who were born with the disability, and those whose disability were a result of an accident or illness. The difference between them is that those who are disabled later in life went through a lot of psychological and emotional trauma. Those who were born with the disability were adjusted to it and had little struggle with feelings of trauma and self-pity. Bottomline, there was one factor that made their lives a struggle and their disabilities sometimes more difficult to bear; us. Yes, we who are without disabilities made their lives difficult by denying them inclusion to mainstream society, by ridiculing them, discriminating against them for jobs and opportunities and giving them trouble even by not allowing them easy access to enter a church, mall or the toilets. We, the persons without the disabilities, were the heartless ones who added insult to injury by putting ramps that are unusable and almost impossible for them to use and then later throw it in their faces that we spent money on these very ramps that could tire even an athlete. Yes, I was one of the heartless millions who put hurdle upon hurdle on those who had to pray for a miracle just to get from one place to another. Thus, this campaign. We didn’t just launch a website. We celebrated the beginning of a new mindset. Louis Andrei Jambaro liked this on Facebook. Ariane Samson liked this on Facebook. PWD Philippines liked this on Facebook. Rose Sharon Rasquero liked this on Facebook. Nimra Zurc liked this on Facebook. congrats to the successful launch. Still, the problem of jobs for PWD arise. kahit sabihin na meron ng batas para sa percentage ng PWD na dapat nasa isang company. hindi pa din natutupad. mas maganda sana magkaroon ng malawakang campaign para sa job opportunities for PWD. everytime kasi na magkakaroon ng job fair pag nakita na PWD, taas kilay agad. mindset “KAYA BA NIYA ANG TRABAHO?”. madaming PWD na nahihirapan sa pinas dahil walang trabaho. pero ang laging sinasabi ng mga nonPWD “dapat nasa office ka, yung magaang na trabaho lang”. why not make project na ang purpose ay makapagbigay ng trabaho sa mga PWD’s. kokonti lang kasi ang gumagawa ng mga job-oriented fairs for PWD or baka wala pa nga yata. pasensya na isa kasi ako sa mga PWD na nahihirapan din maghanap ng trabaho. pero maganda itong site nyo.